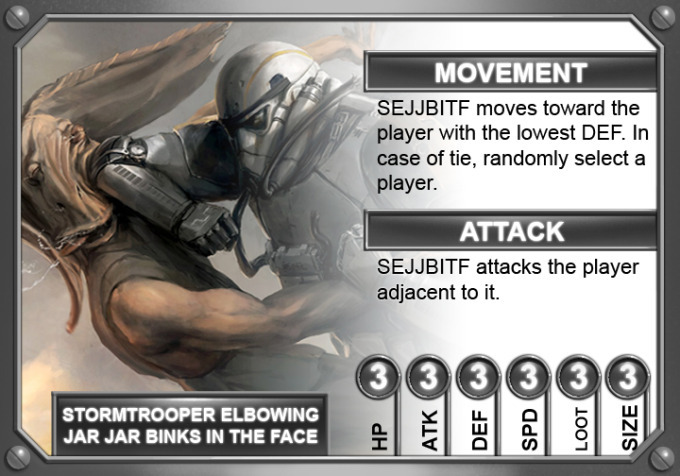 My friend Kelly Perry is taking a stab at making my crappy card art design better. It really looks better, doesn't it? She said something to me today that was a little eyeopening. I was looking at my old art from nine years ago and I realized that I haven't really gotten better at drawing per se, but faster. She said that I'm not an artist and while that's something I may have taken offense to years ago, I don't take offense to it now. She's right. I'm not an artist. I'm an "idea man" with a specific set of skills that can get me far, but just far enough to pass it off to someone else to polish it up. Thus Kelly Perry here doing the card piece. I can fill in the art with Adventure Time-esque art (that's within my drawing skill level), but she's much better at rendering out the UI of the card and I'm okay with that.